For some, home is a house. For others, it 's a certain textile design, a hard-to-name feeling, a secret spot or a particular time of day. And for others still, it's a place they've been forced to leave behind. On Thursday, June 8, Burlington law firm Dunkiel Saunders Elliot Raubvogel & Hand hosts Art + Soul: "Visions of Home." Held at the firm's College Street offices, this is the sixth iteration of the annual art benefit for local nonprofit organizations. 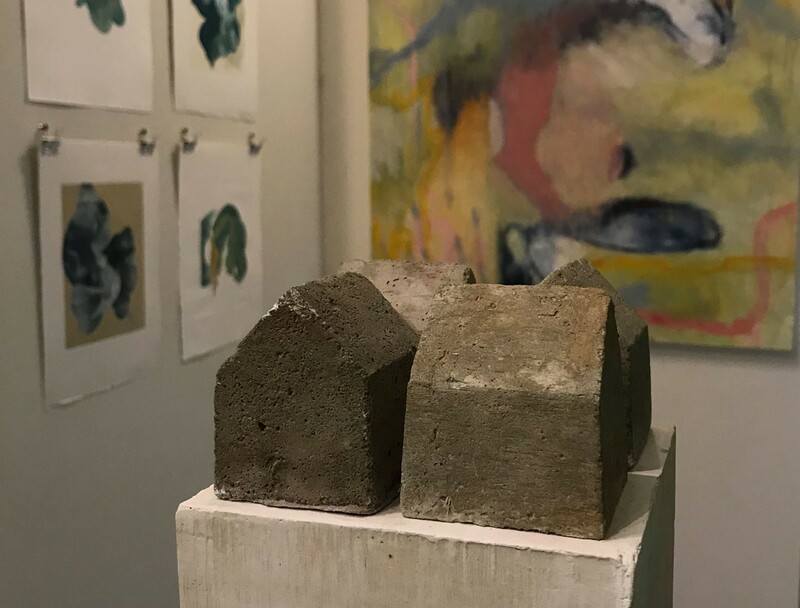 Ashley Jimenez, assistant curator at Burlington City Arts, curated the one-night event, which features a broad array of works in diverse mediums by local artists. Organized around the theme of home, the show appropriately reflects this year's beneficiary: the USCRI Vermont Refugee Resettlement Program. Past beneficiaries have included Local Motion, the Leahy ECHO Center for Lake Champlain and the Intervale Center. Working closely with VRRP outreach coordinator Laurie Stavrand, Jimenez selected a considerable number of works to display — 167 in all . "[It felt] important to bring in arts from the New American community," Jimenez said during a recent interview. Many of the New American artists with works on view have not shown publicly in Vermont until now. Among this group is Congolese clothing designer Sara Modire, who recently relocated to Winooski. 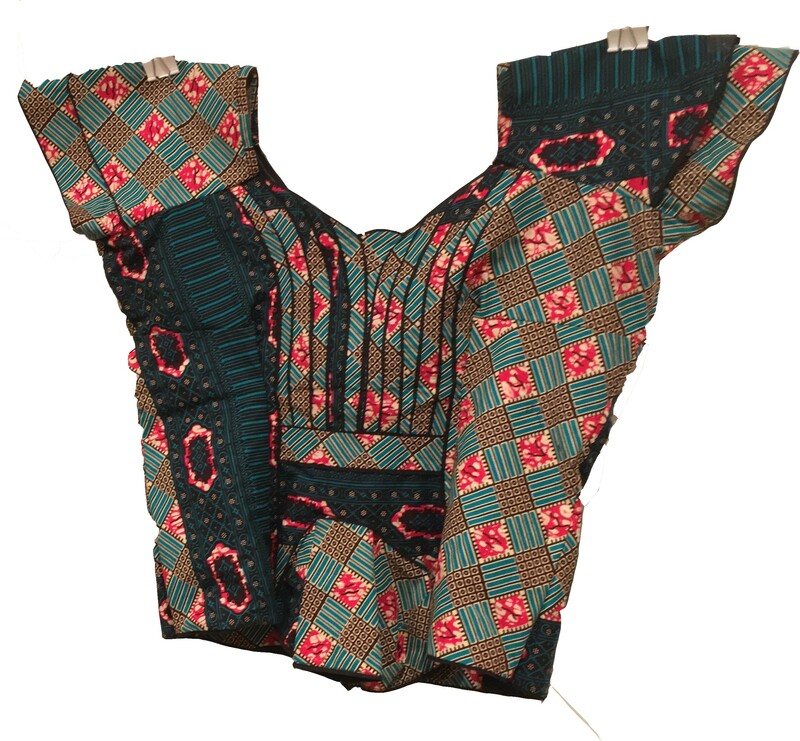 Stavrand and Jimenez visited Modire in her new home, and with the help of a Swahili translator, selected three short-sleeved blouses sewn from West African fabrics for the exhibition. "They're sculptural," Jimenez said of Modire's designs. "She has an amazing eye." Other New American artists in the show have already gained some local exposure. Iraqi fashion designer Sahar Alsammraee presented dresses at this spring's Karibu International Fashion Show. Emerging Bhutanese artist Hom Pradhan has exhibited paintings the the Vermont Folklife Center, among other venues. In some ways, Pradhan most directly engages with Art + Soul's themes: His works in acrylics recall scenes from growing up in Nepal's Goldhap refugee camp. Works by other artists contain more literal references to "home." Sparse sculptures by Vergennes artist Denis Versweyveld feature house-shaped cement components. 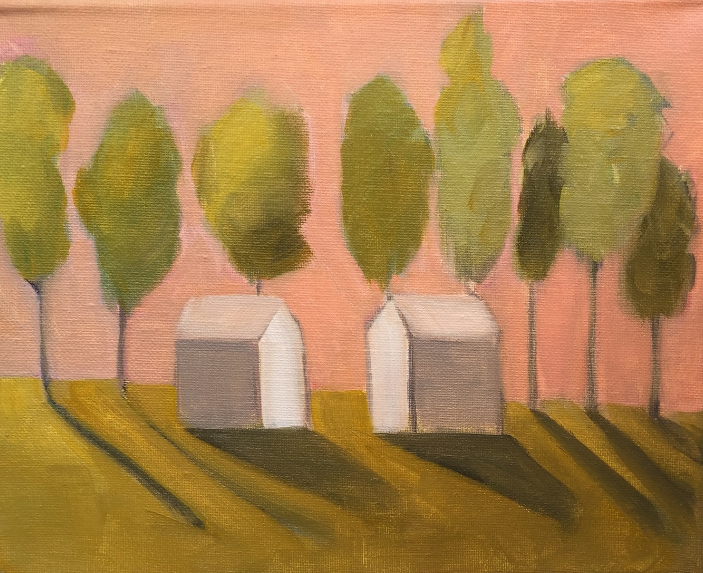 Paintings by Judith Ray — who is married to Versweyveld — as well as Burlington artist Sage Tucker-Ketcham feature similar takes on the simple, potent symbol. Altogether, "Visions of Home" includes works from more than 40 artists — a complete list can be found here. All sales will be split 50-50 between the artist and VRRP. In addition to the exhibition, the event features music from Grup Anwar, as well as eats by Sugarsnap, Dale Boca food truck and Mostar Home Catering. "We think this year's event will be a wonderful celebration of the cultural richness the VRRP supports here in Vermont," Dunkiel Saunders partner Geoff Hand wrote in an email statement, "Our community would not be the same without the organization's efforts to help new Americans settle here."